This course aims to provide you with the technical knowledge and skills to develop the analytical, decision-making and critical powers required to solve Civil Engineering problems, along with the transferable skills to enable a leading career in Civil Engineering. An innovative feature of the MSc in Civil Engineering is that the degree title can be augmented to include a subject theme (in this case, Environmental Fluid Mechanics) by choosing specific modules in the first two semesters and completing a project related to the theme. As such, you will concentrate on the technical knowledge and skills relevant to the field of Environmental Fluid Mechanics for the award of MSc in Civil Engineering: Environmental Fluid Mechanics. The other available subject themes are as follows: Geotechnical Engineering; Mechanics; Management; Structural Engineering; Transportation; Pavement Engineering. It is also possible to choose a more generalised programme of study across these subject areas for the award of MSc in Civil Engineering. -We have recently invested over £3m into upgrading our facilities. -The quality of teaching in the School of Civil Engineering is rated ‘excellent’ by HEFCE and we received a rating of 5A in the most recent Research Assessment Exercise. 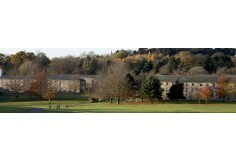 -The Times Good University Guide ranked the School seventh in the UK 2007 League Table. 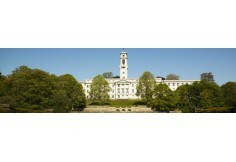 -Two prestigious international league tables published for 2006/07 put Nottingham in the Top 10 of the best in Britain, in the Top 100 worldwide and Top 25 in Europe. 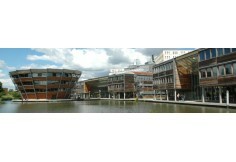 -The School has extensive links with industrial sponsors and other organisations, locally, nationally and internationally. -Our research is supported by the Engineering and Physical Sciences Research Council (EPSRC), UK industrial and commercial companies, UK government departments, charities and the European Union. By taking the MSc in Civil Engineering: Environmental Fluid Mechanics, you will be expected to focus these core modules and your subsequent research project on an issue relating to Environmental Fluid Mechanics. In addition, you will be able to choose from a number of optional modules to either further develop your studies in Environmental Fluid Mechanics or to include other topics offered from an approved list of Civil Engineering modules. -A maximum of one of the following level 3 modules: Steel Structures; Pavement Engineering; Geotechnical Engineering; or Geospatial Engineering 1. Over the summer period, you will undertake a research project on a subject of your choice relating to Environmental Fluid Mechanics. The research project is a chance to carry out a major piece of independent research under the supervision of a suitable member of academic staff. The MSc in Civil Engineering: Environmental Fluid Mechanics is taught on a full-time basis over 1 year, commencing at the start of the autumn semester. The course is taught through lectures, tutorials, projects and student-centred learning. In both the autumn and spring semesters, you will take 20 credits worth of compulsory modules and 40 credits of optional modules chosen from an approved list (120 credits in total). Over the summer period, you will be required to complete a 60 credit dissertation / research project. By choosing to augment the MSc in Civil Engineering degree title to include Environmental Fluid Mechanics, all compulsory modules (100 credits, including the 60 credit dissertation) must focus on this area of study. The remaining 80 credits would then be chosen from the optional modules listed under ‘Course Content’ above.